Summer means fun camping trips, nighttime bonfires, and BBQs with friends and family. Summer also means the temperatures are rising. Avoiding extreme heat is critical for your pet’s well-being. Something like a fresh haircut is not only stylish but can help keep your dog more comfortable in warm temperatures. Your pet’s paws are another crucial component to your pet’s comfort in hot weather. When taking your dog for a walk, make sure to walk on grass instead of asphalt or the sidewalk. The extreme temperature can hurt and damage their paw pads! Another option is to get a good pair of dog booties with hiking boot soles to protect their precious paws. The #1 rule of Summer Pet Safety is to NEVER leave your pet in the car on a warm or hot day. Even on a warm day, temperatures can increase to life-threatening levels in such a short amount of time. Leaving your pet in the car, even if it seems like just a few minutes, is not worth the risk. Even with the windows cracked, your car is still far too hot for a pet and may result in someone breaking the window to rescue the pet, criminal prosecution in some states, or may result in a fatality of the dog. 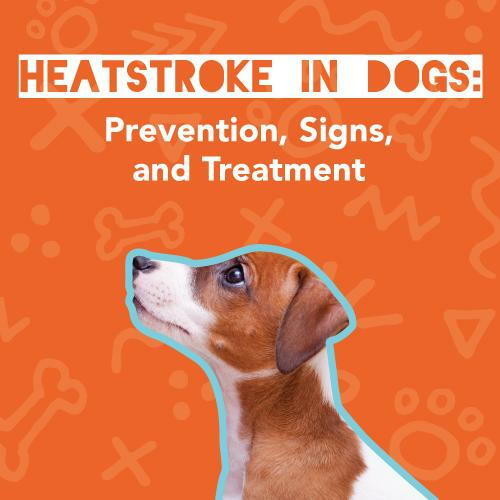 Signs of heatstroke include but are not limited to, heavy panting, excessive drooling, frequently lying down, a fast or irregular heartbeat, vomiting, diarrhea, lack of appetite, or even neurologic signs such as seizures or stumbling. Remove your pet from the heat and into a shaded, cool environment. Begin to cool the body by placing cool, wet towels (NOT cold) over the back of the neck, armpits, groin, paws, and ear flaps. Be careful to NOT over cool the pet. Have cool water available to drink but do NOT force it. Heatstroke always requires immediate professional supervision. Ask your vet to discuss further summer safety for your pet. Request an appointment today!